Is.... is this a joke i'm not in on? I also am not in on the joke. 40 minute games huh? you probably play too safe, you need to go face more. Have you considered not playing control decks then? Control vs control can last up to 40 minutes, yes, but if you play aggro the games are way shorter so I think the problem is with you and your deck choice. Hi friend. Looks like you got lost. Let me help you get back to the camp so you can discuss this with your friends. It would be interesting to know how many games are really 40+ minutes... i‘d guess less than 0.1%. You should consider sending your dudes north at a quicker tempo. If games are taking too long, and this is an issue for you... Then pick a faster deck, maybe? I think Mech Hunter punishes slow and greedy decks. Maybe you could try that out? And here we have the opposite end of the Spectrum. Instead of someone posting things like "Waaahhhhh! Druid ran me over in 5 Turns!! Nerf Druid you lax Bastards!!" we have "Waaahhhhh! Control Meta is too long! I can't sit on a toilet for 40 minutes! 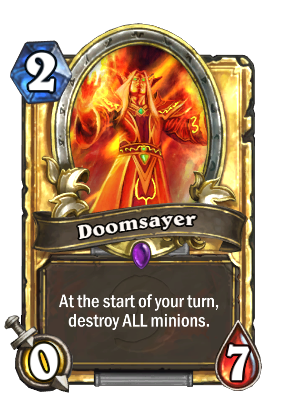 Give me a more Aggro Meta! !